It’s always a lot of fun betting on some of the more weird and wacky prop bets that sportsbooks offer for the Super Bowl. Every year it seems like the …. 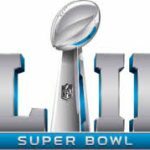 The way both the Eagles and Patriots defenses are playing Super Bowl 52 could easily be a low scoring affair with both teams having trouble gaining yards. That said, the …. It’s Super Bowl week! The festivities are kicking off today and it should be a fun week leading up to the big game in Minnesota this Sunday. Unfortunately my Conference …. Super Bowl prop bets are some of the most fun you can have while watching the big game. My friends and I have a props sheet contest at our Super …. 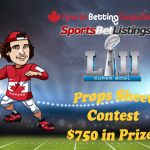 Check out the updated version of this page: how to bet on Super Bowl 53 from Canada. 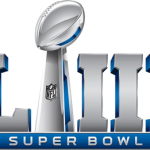 The Super Bowl takes place next Sunday in Minneapolis, Minnesota and I’m sure …. Gain Access To Our Winning Picks For Free!